At first, it seemed like David Bowie had pretty much retired from music completely. Since his 2003 album "Reality," the rock and roll chameleon had not put out any new music in the last 10 years other than reissues of past records like "Ziggy Stardust" and "Station to Station." He also hadn't toured or made many high-profiled appearances of note. In a career that had seen him reinvent his music and onstage persona many times, it would have appeared that Bowie finally decided to call it quits in a quiet manner and without much fanfare -- whereas his contemporaries like the Rolling Stones, Paul McCartney and Elton John are still making music and drawing audiences. The notion of the icon's "retirement" changed all of a sudden when on Jan. 8 of this year -- Bowie's birthday -- came the surprise announcement throughout the music world of a new song, "Where Are We Now," and an album, "The Next Day" (Columbia). Already the new album, which comes out on Tuesday in the U.S., has received almost universal acclaim in the press, and that praise is warranted; it's Bowie's strongest work to date and a continuation of the creative roll he had been on starting with 2002's "Heathen" and "Reality." 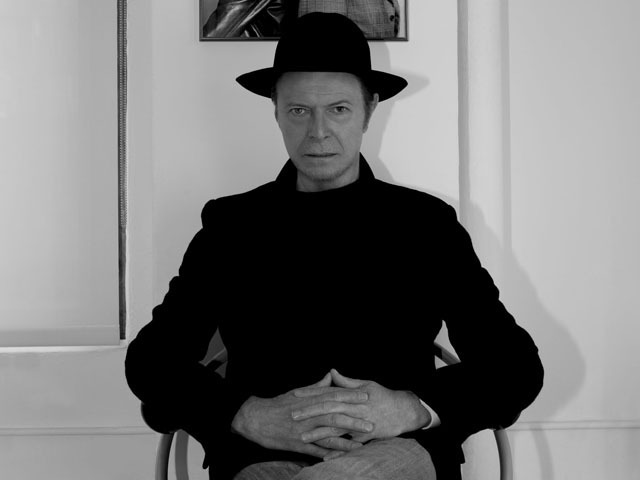 "The Next Day" marks another fruitful collaboration between Bowie and Tony Visconti, who has produced several of Bowie's classic records, including the pioneering Berlin trilogy albums "Low," "Heroes" and "Lodger. " In fact, the first single off the new record, "Where Are We Now," could be considered a post-script to Bowie's time in Berlin back in the '70s. This ballad -- with allusions to places associated with the German city like Postdamer Platz and Nurnebeger Strasse -- is quite eloquent as it is melancholic and hopeful at the same time. The new album, whose stream-of-consciousness and introspective lyrics seems to capture the uncertain tenor of the present world, contains several electrifying-sounding rockers: the clattering chaos of "If You Can See Me"; the driving "The Stars Are Out Tonight"; and the passionate yet bittersweet "Love is Lost." There are also some interesting musical detours on "The Next Day" like the jazzy and progressive art-rock of "Dirty Boys," which sounds at times like early King Crimson; and another ballad, the very soulful and dramatic "You Feel So Lonely, You Could Die," almost sounds like a gospel number. As far as the musical performances on the album goes, Bowie still sounds in vibrant form and is accompanied by an band of ace musicians, most of whom had played with Bowie on "Reality." Even before "The Next Day," Bowie's legacy remained much intact and he had nothing really more to prove. But Bowie is simply not another artist who rests on his past laurels. He remains a restless and creative spirit who always looks ahead and not back, as "The Next Day" indicates. If any lesson is to be learned from Bowie's return, it's that you could never truly count the man out.